It is difficult to disentangle the effects of linear growth from weight gain when using conventional measures of height and weight in statistical analyses. Recent statistical modelling techniques using conditional variables have been able to examine separate effects of linear growth and relative weight gain, that is, weight gain independent of linear growth. 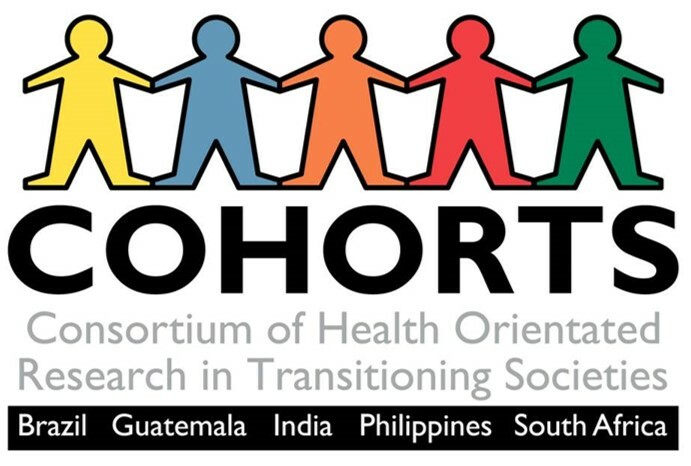 The COHORTS collaboration is a consortium of birth cohorts from five transitioning countries – Brazil, Guatemala, India, the Philippines and South Africa. We are relating maternal characteristics and socio-economic circumstances, and the child’s growth patterns to adult health. 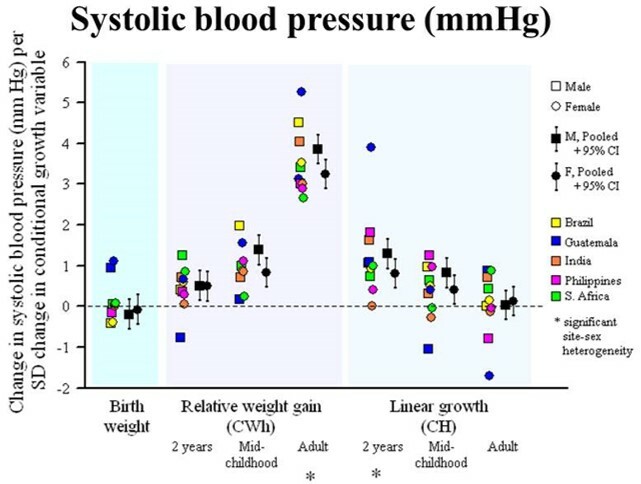 Higher conditional weight in mid-childhood was associated with higher adult blood pressure and overweight. Higher conditional height at age 2 and mid-childhood was associated with higher educational attainment. Lower maternal age at birth of the child was associated with lower birth weight, and failure to complete secondary schooling. Higher maternal age was associated with higher attained schooling. In the future, we propose to study the inter-relationships between mental health and cardiometabolic risk by leveraging recently-collected data from each of the cohorts, supplemented with targeted new field work. We will be able to address critical questions of how childhood growth and cognitive development, early-life and adult socioeconomic status, early-adult mental health, schooling, and other factors all come together to predict adult mental health, economic productivity and cardiometabolic risk. Understanding optimal patterns of growth in early life, and the inter-relationships with maternal and socio-economic factors will help to develop appropriate interventions.